Give your little racer just the right seat at the table for refueling. 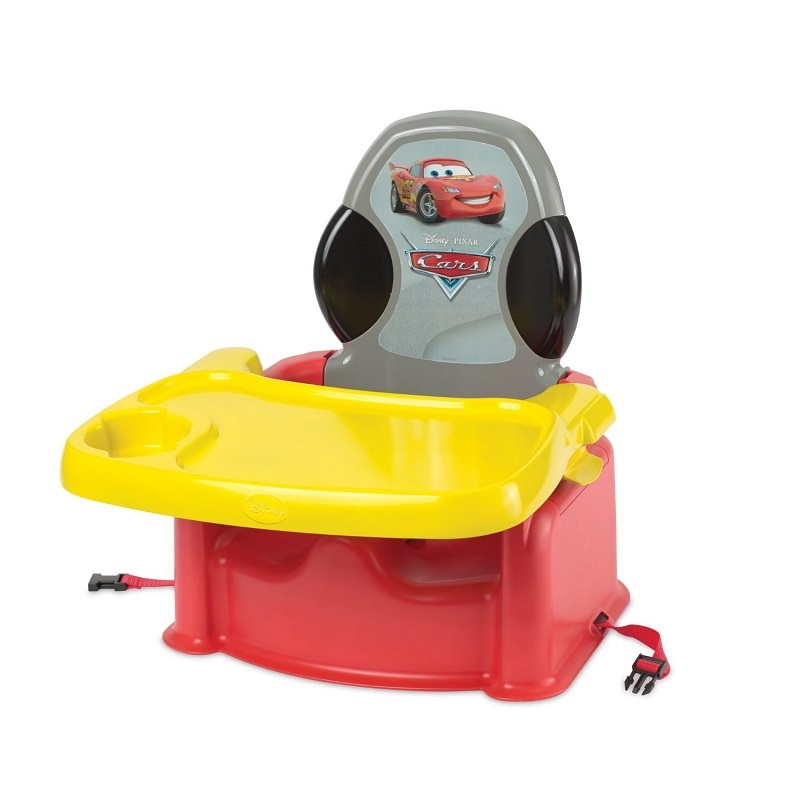 This high-back feeding seat featuring Lightning McQueen from CARS has a 3-point harness and chair straps for added security. After your little one crosses the mealtime finish line, the comfy, contoured seat and dishwasher-safe tray with cup holder make clean up quick and simple. The seat back folds down for easy travel and storage, making it great for on-the-go adventures.